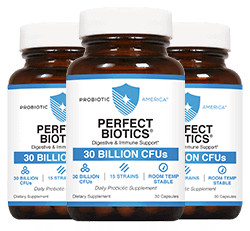 Every order from Probiotic America is backed by our 100% money back satisfaction guarantee. Try it for up to 90 days and if you aren't thrilled with the results, just send back the empty bottles for a full refund. 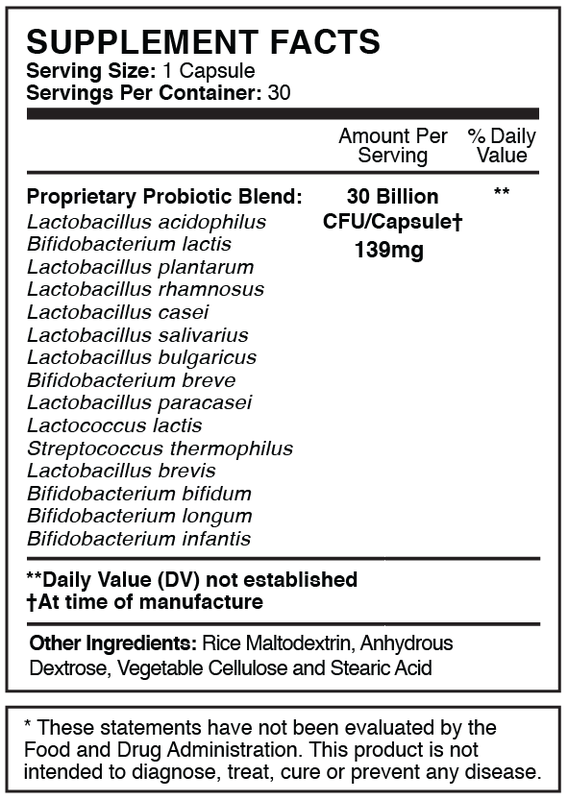 A: Perfect Biotics can be especially beneficial to anyone who suffers from any sort of digestive problem, including gas, bloating, or indigestion.Given the widespread prevalence of artificial sweeteners, processed sugars, and other unnatural ingredients commonly found in the modern American diet, however, Perfect Biotics can be a healthy addition to virtually anyone’s diet. Q: How do Perfect Biotics work? A: Your digestive tract is home to billions of units of bacteria – some good, and some bad. When the ratio of bad bacteria begins to grow and outnumber the good, you may begin experiencing a wide range of digestive issues – which can lead to bigger health problems. 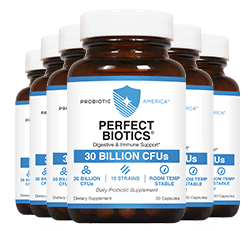 With 30 billion colony-forming units (CFUs), each capsule of Perfect Biotics is like an army of beneficial bacteria, counteracting the bad bacteria and restoring a healthy balance to your gut. Q: What are the ingredients in Perfect Biotics? 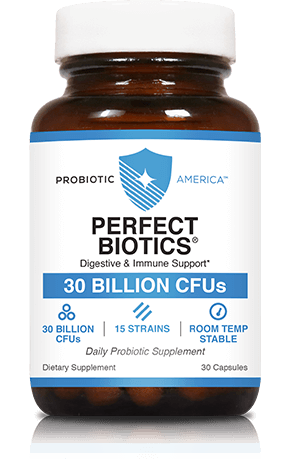 A: Perfect Biotics contains 30 billion CFUs of 15 strains of beneficial bacteria. Q: How do I use Perfect Biotics? A: Just take one capsule per day with water, and preferably with your first meal of the day. A: Everyone will experience the benefits a little differently depending on their current level of digestive health. Some users will experience a dramatic difference within a matter of days. Most users can expect to notice an improvement in their overall health after 3-4 weeks of use. Q: Do I need to refrigerate Perfect Biotics? 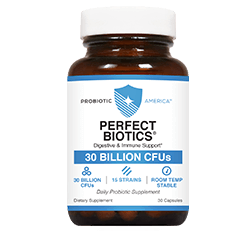 A: Our probiotics are flash-frozen and packed so that every bottle will stay fresh for many years. It is not necessary to refrigerate Perfect Biotics to retain freshness and effectiveness.